Admission is free for Museum members. Join here. The recent announcement that the United States would establish a new, sixth military branch -- a Space Force -- raised plenty of mockery across the internet, but is the idea worthy of such derision? With commercial and civilian spaceflights expected to begin in the next few years, and technology making our phones, cars, and homes increasingly connected through satellite communications, the everyday lives of more and more Americans are becoming dependent on space that is safe and secure. Please join us as Todd Harrison, Director of the Aerospace Security Project at the Center for Strategic and International Studies, speaks on the seriousness of the Space Force proposal and why the real thing probably won't look like anything from your favorite TV shows anytime soon. Evidence that a lake lies beneath the southern polar ice cap of Mars was discovered in July by an orbiting probe, marking the first time a persistent body of liquid water has been found on the red planet. 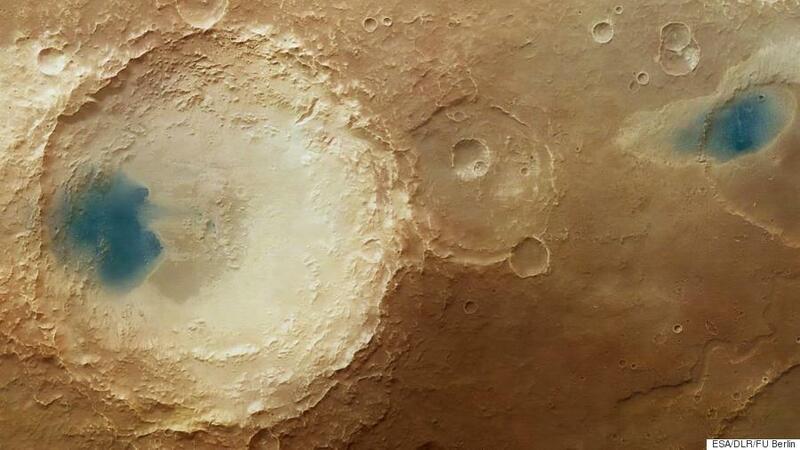 This announcement naturally led many to wonder: does this mean there is life on Mars? Astrophysicist and author David H. Grinspoon, PhD with Gareth Morgan, PhD Research Scientist Planetary Science Institute; Jennifer Stern, PhD Space Scientist NASA Goddard Space Flight Center; and Michael Meyer, PhD Lead Scientist, NASA Mars Exploration Program will walk us through this exciting discovery and what's next in the mission to ascertain if anything might be swimming in these Martian waters. The main asteroid belt in our solar system that lies outside of Mars is home to millions of asteroids over a kilometer long. These are large enough to land on with a small craft or probe, and precious minerals or other raw materials found in these rocks could theoretically be mined for our use. Ice and frozen carbon dioxide could be extracted and converted into fuel for spacecraft sort of like space-based gas stations. We will discuss how soon before asteroid mining changes from the theoretical to a real commercial venture, and how the process will differ from some examples you may have seen in popular science fiction shows or literature. Robot vacuum cleaners are already in many homes, and soon some packages will be delivered to you by small UAVs. With advances in AI to help them navigate our complex world, robots and UAVs are becoming more commonplace and accepted in our daily lives. How will robots ease our burdens and improve our standard of living, and just how real is the possibility of one of the most common science fiction tropes: the robot revolution? Traveling to space was once limited to professional astronauts and those willing to spend tens of millions of dollars to claim the title "space tourist." Very soon that will change, as companies like Boeing, SpaceX, Blue Origin, and Virgin Galactic are getting close to their final test flights of commercial space vehicles designed to take paying customers into orbit at far more reasonable prices. 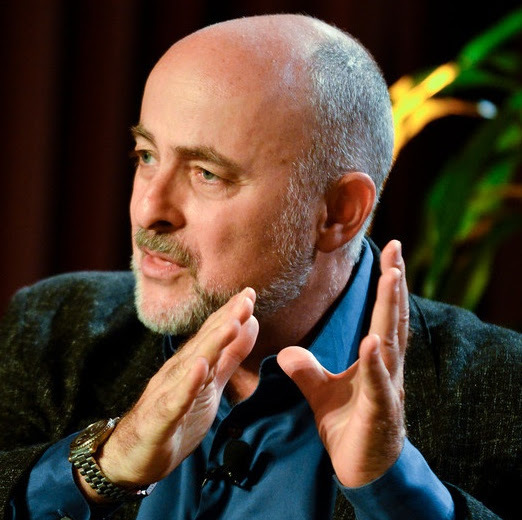 Join award-winning science fiction author and scientist David Brin as we discuss the possibilities of commercial space travel and how soon boarding a spacecraft will become just as common as boarding an aircraft today. Phil Frana, PhD will discuss the current landscape of artificial intelligence and cognitive computing using the classic film 2001: A Space Odyssey as a counterpoint. This year marks the 50th anniversary of Kubrick's film, based on the book written by Arthur C. Clarke. Dr. Frana is an Associate Professor of Interdisciplinary Liberal Studies and Associate Dean of the Honors College at James Madison University (Harrisonburg VA). He is currently writing a book on the history of artificial intelligence, The Past, Present, and Future of Artificial Intelligence, Robotics, and Automation (ABC-CLIO, 2019). The Museum’s 2018 lecture series will be open to the public. It is designed to show how science fiction continually inspires individuals, influences cultures, and affects societies. The lecture series also serves as an educational catalyst to expand interest in STEAM fields: science, technology, engineering, art, and math. Admission is free for Museum members (join here) and $10 for non-members. Seating is limited to 80 people. Beer, wine, and cheese will be served.